Ben & Jerry's Takes 'All Natural' Claims Off Ice Cream Labels : Shots - Health News Ben & Jerry's ice cream and frozen yogurts containing alkalized cocoa and partially hydrogenated soybean oil will no longer say "natural" on the label. The move was prompted by a consumer group's complaint. Indie ice cream pioneer Ben & Jerry's will be dropping the phrase "All Natural" from some of its ice cream and frozen yogurt cartons, it announced today. The flavors containing alkalized cocoa, corn syrup, and partially hydrogenated soybean oil particularly irked the folks over at the Center for the Science in the Public Interest, who had asked the company to stop using "all natural" claims last month in a letter to parent company Unilever. That leads us to wonder, if Ben & Jerry's -- Insert catchphrase "Peace, Love and Ice Cream" here -- isn't natural, then what is? Apparently, the USDA allows meat and poultry to be labeled "natural" if they don't include artificial colors or ingredients, and are not more than "minimally processed." But the rest of the food supply's definition of natural is up for grabs. The FDA doesn't define the word "natural," so it's used by a variety of food manufacturers in an effort to imply their products are somehow better for us. We've seen it on everything from potato chips to cereal boxes. “The Food and Drug Administration could do consumers and food manufacturers a great service by actually defining when the word ‘natural’ can and cannot be used to characterize a given ingredient,” says CSPI's Michael Jacobson. According to MediaPost, a media and marketing pub, Ben & Jerry’s CEO Jostein Solheim stressed that the company uses the most natural ingredients it can find, and feels its products are “all natural” in the way reasonable consumers would understand the term. However, as a Ben & Jerry's spokesman told Shots, the company pulled the labels to avoid engaging in a debate over what's natural and what's not. "We've always prided ourselves on showing people what's in there," said spokesman Sean Greenwood. "We're not changing our quality at all." Ben & Jerry's uses hormone-free milk and cage free eggs, and is committed to using only fair trade products by 2013, Greenwood said. 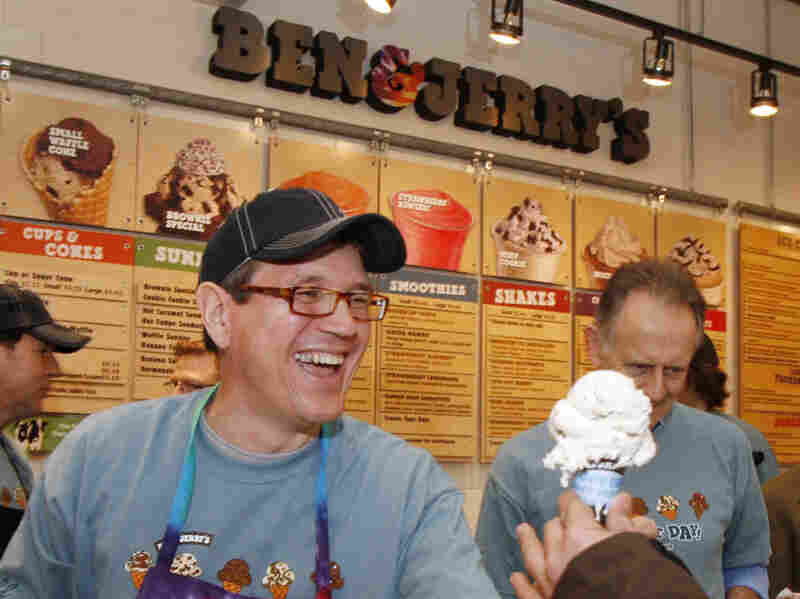 Jacobson says that while his group criticized Ben & Jerry's for the use of the words all natural, the group says none of the ingredients are unsafe. It also noted in its press release: "Plenty of ingredients that really are 'natural' are still bad for your health, such as the artery-clogging cream that is the main ingredient in Ben & Jerry's ice creams." So I'll take that Cherry Garcia in moderation from now on.